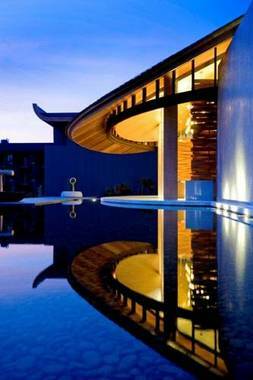 Renaissance Phuket Resort & Spa Ban Kho En, Hotel Thailand. Limited Time Offer! Renaissance Phuket Resort. "Renaissance Phuket Resort" has received 5 stars. The residence is an excellent pied-a-terre for exploring Mai Khao Beach. The airport is at close proximity. Enjoy the coast which lies in close proximity to the hotel. The accommodation has been furnished in a luxurious style. The building has been refurbished not long ago. There is a total of 180 rooms to choose from. In the hotel's soundproof bedrooms, no external noise will disturb the guests. Hot weather is kept outside thanks to the relieving air conditioning. Breathe some fresh air in the privacy of the garden or the inner courtyard. The hotel has an outdoor swimming pool. Fishing, Eco Tours, parachuting, mini-golf and helicopter/airplane tours are some of the recreational activities this residence offers. For visitors who appreciate sporting activities, this accommodation also offers kayaking, basketball, surfing, volleyball, bungee jumping, pilates, sailing, yoga, rafting, squash, pool, golf, waterskiing, aerobics, horse riding and tennis. Furthermore, there is a gym, a walking trail, boats, motorboats and a running track. "Renaissance Phuket Resort" has an onsite spa, a jacuzzi, a sauna and a hamam, excellent for relaxing. Treat yourself to, for example, a massage. The accommodation includes a restaurant. This residence has also its own onsite bar. Of course, this hotel provides guests with Internet access and a shuttle bus service to help you get around more easily.